As in BAG and HAT, HAT-BAG combines a HAT and a BAG in an intelligent way. 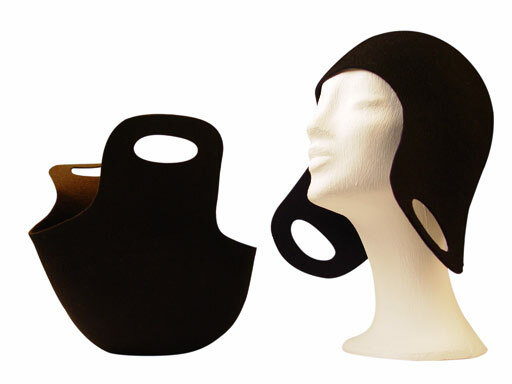 The concept of the HAT-BAG is designed for those situations in the winter, when you come in from the cold outside and into the warm inside. You can stow your scarf and gloves, when you take them off, and other loose items, which you have to carry. 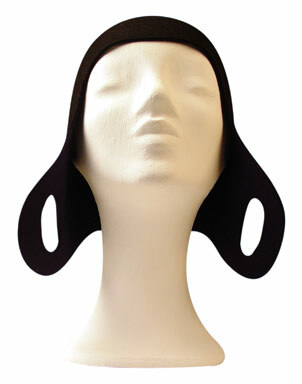 The felt prototype pictured here displays the two handles at the ears of the HAT which emphasizes the user to use it as a BAG.